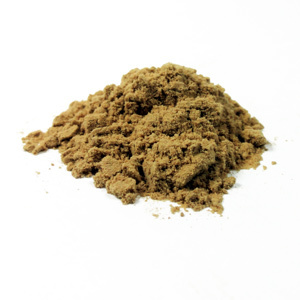 This natural kanna incense powder is a standardized and concentrated (5:1) full-spectrum extract. It comes from private farms and is available in limited quantities. Each packet of Full-Spectrum 5X Kanna Extract comes in a vacuum-sealed silver foil pouch for maximum freshness and potency and is intended to be used as a smoking blend additive. This new next-level product is a favorite in the shop and we are pleased to offer it from our manufacturer's own crop of kanna.